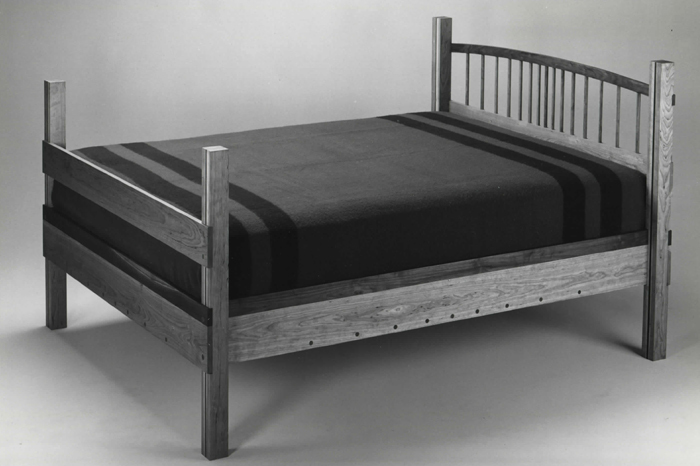 This bedstead was one of the first limited production items produced in the shop. It was offered in twin, full, queen, and king sizes. In one memorable production run the headboard spindles were made of Diamond Willow sprigs that were cut in Northern Minnesota, and the secondary wood was Holly (not pictured). The bedstead also has a United States Patent: # Des. 295,121.